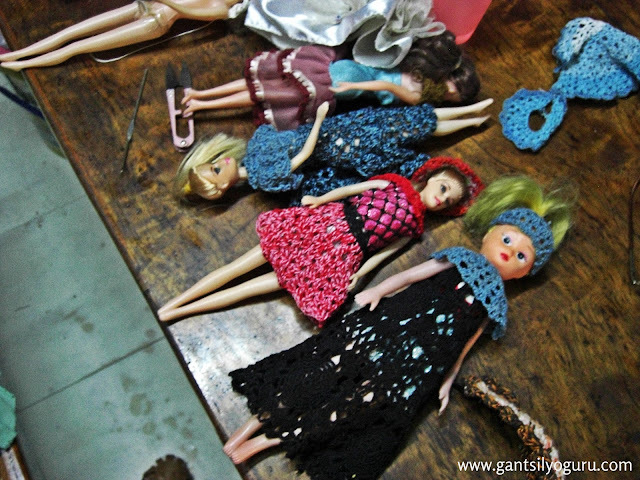 When I visited Lola Viring (check out the 1st part of my series on her here) last month, I saw her working on these dolls. Take note, she didn't follow any pattern for everything she crocheted. She's never even written any pattern. She's an original crocheter. 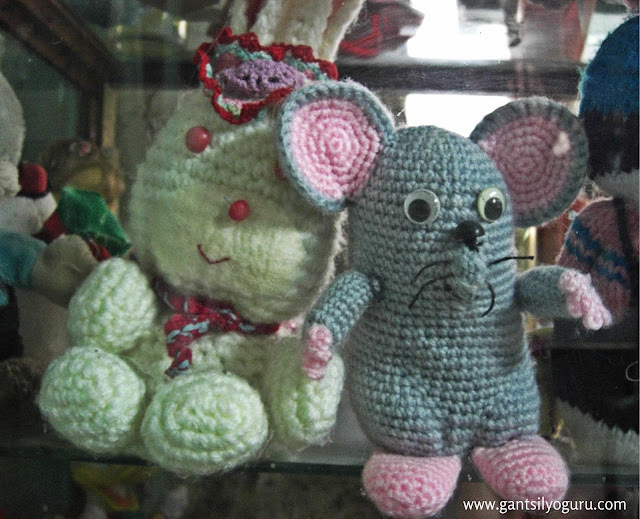 She loves giving dolls their own personalities through the crocheted clothes she makes for them. 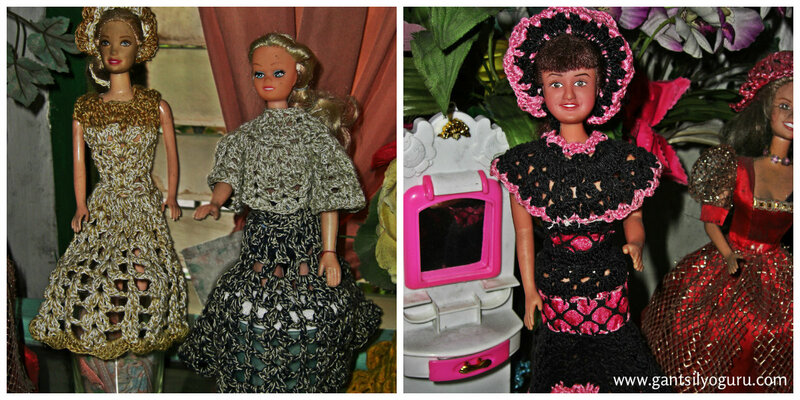 There are original Barbie dolls among them as well as the generic ones you can buy from just about anywhere. 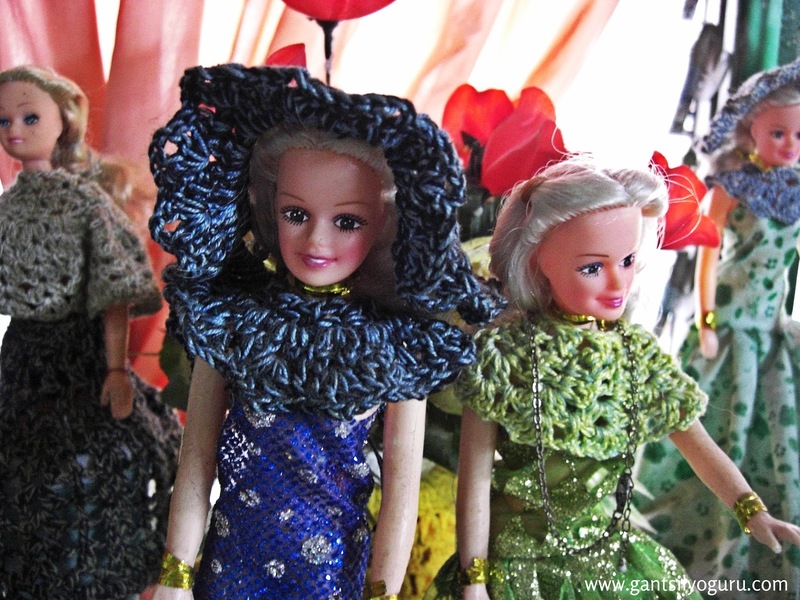 With the clothes she crocheted for them, these dolls have definitely become priceless. 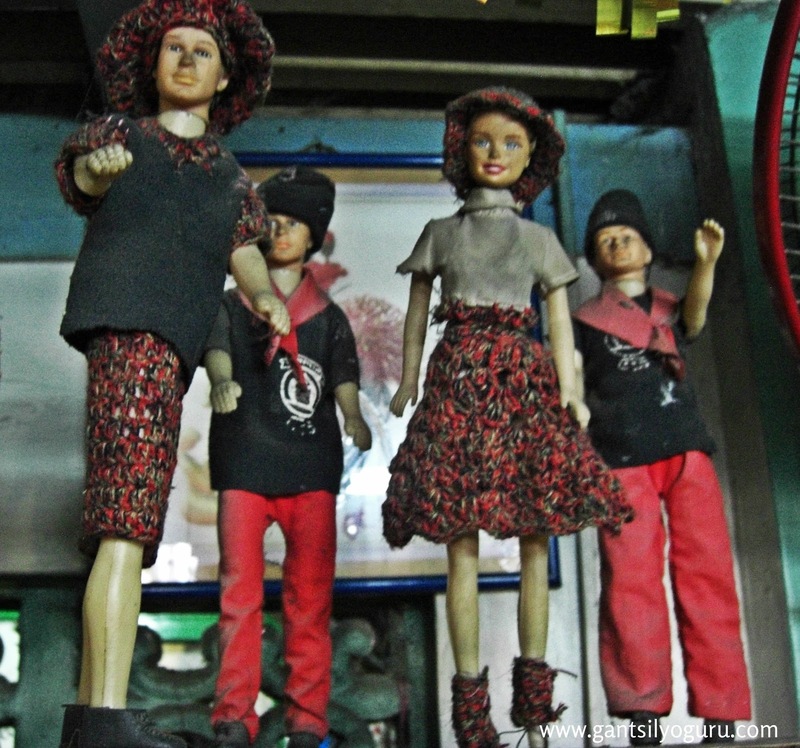 These dolls are all over her living room! They're the first things you notice once you enter her home. 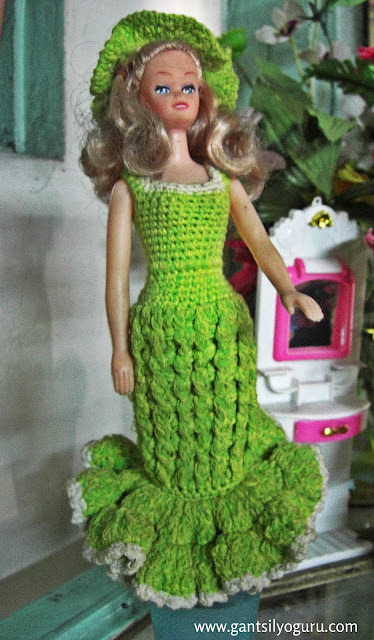 Practically every doll has a unique dress. There are more dolls if you click the link below! You won't believe how much she has in her "collection." There are even dioramas of dolls with crocheted clothes. If you wanna see what I'm talking about, click click click! I forgot to tell you she also has Amigurumis. Now back to the dolls. And now, the "group shots." 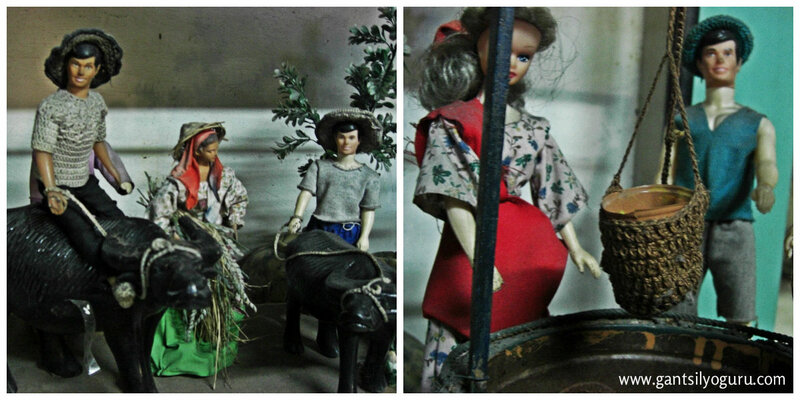 Here comes the dioramas. Her dolls are telling stories. 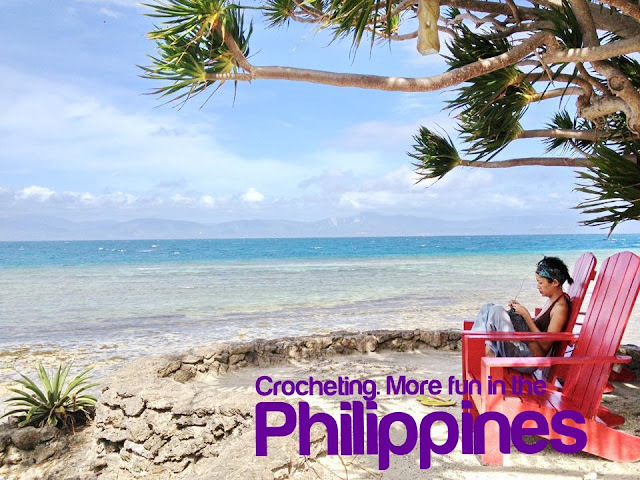 Lola Viring is a crocheter with no boundaries. Isn't the shirt on the guy doll tastefully done? 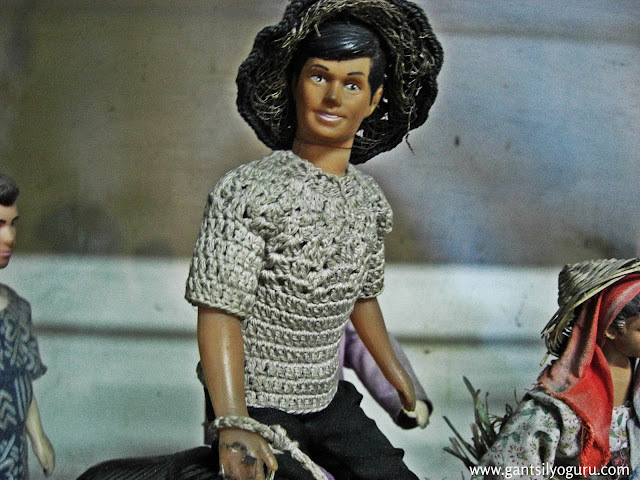 Yes, the hat on him is even crocheted. 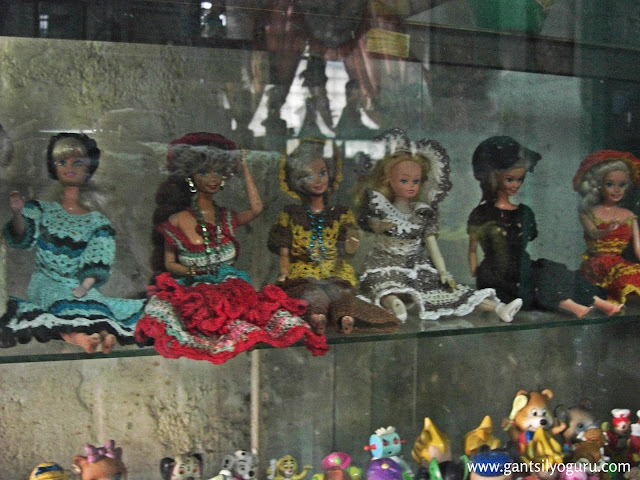 Lola Viring made sure all these dolls were displayed so that they won't be missed by any person entering her home. These dolls are her "welcome" signs to her crocheting world. I was truly amazed when I saw all of these in person. I almost dropped down to my knees when I saw dolls from left to right. I don't know how to describe how it felt to be in the presence of so much crocheted work. This is just one side of the room, by the way. Watch out for my next blog entry on this! Yeah! You should write a book! Lola Viring's talent is amazing. She mentioned she taught before. It's sad lang na she doesn't have written patterns for her clothes. It would be nice to capture all of her designs into patterns so they can be preserved. Her designs are at par, if not even better, than the designs you see in magazines. 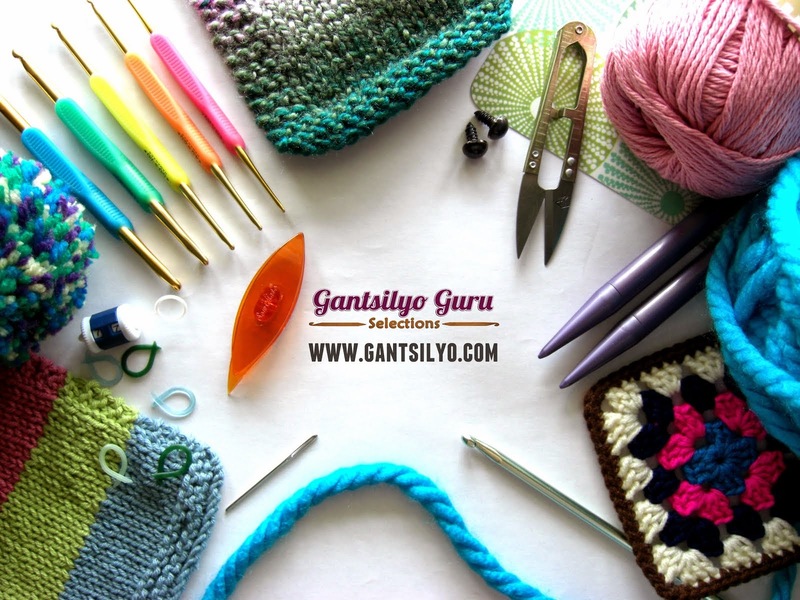 Last Crochet Workshop for 2012!